The Sand Pro Inspection Lights from SandMan Products are designed to save time and money by speeding up production and avoiding costly rework, says the company. The lights allow users to see scratches, swirl marks, and other imperfections before the material is finished. Non-glaring flat beam bulbs illuminate work while eliminating eye strain and the 12-volt transformer allows light to be on all day while keeping heat output to a minimum. The light beam is micro adjustable and features welded diamond plate construction for greater durability. The Sand Pro Inspection Lights offer superior lighting for sanding tables, wide belt sanders, and automated spray lines and mount securely on an adjustable tripod stand, says SandMan Products. Pictured is the Sand Pro LT3200 Light with Stand from the Sand Pro LT Series. SandMan Products LLC is the manufacturer and retailer of the Sand Pro line of downdraft sanding stations & inspection lights. Sand Pro sanding tables are known throughout the wood industry as an affordable solution to the unsanitary, unhealthy conditions produced when sanding or milling wood and other materials. Strong repeat sales are a testament to the quality and effectiveness of Sand Pro sanding tables. 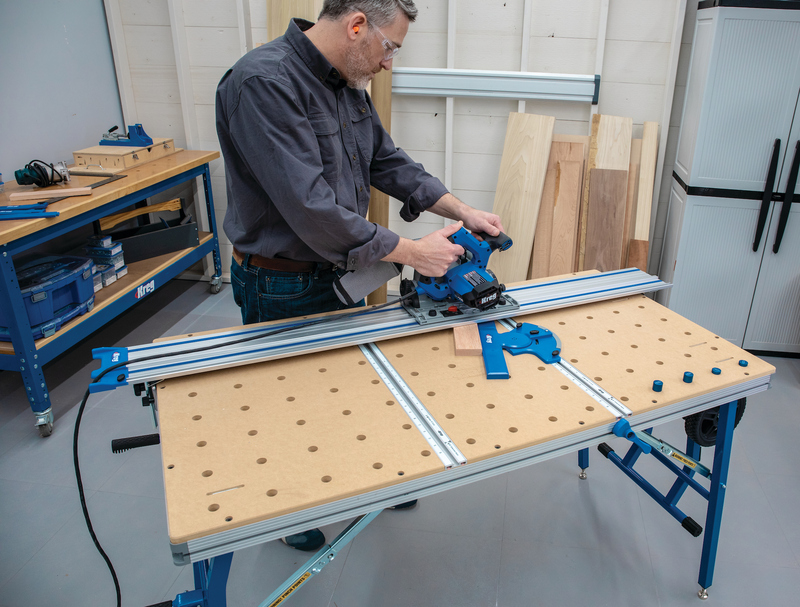 Sand Pro sanding tables are available in a variety of sizes, with an array of features including built in storage area, grid system tops, and adjustable height machines. For larger items SandMan also offers portable sanding booths. SandMan Products LLC recently introduced the Sand Pro inspection light series. Save time and money by speeding up production and avoiding costly rework. See scratches, swirl marks, and other imperfections before the material is finished. Non-glaring flat beam bulbs illuminate work while eliminating eye strain. 12-volt transformer allows light to be on all day while keeping heat output to a minimum. Light works great on sanding tables, wide belt sanders, and in quality control.